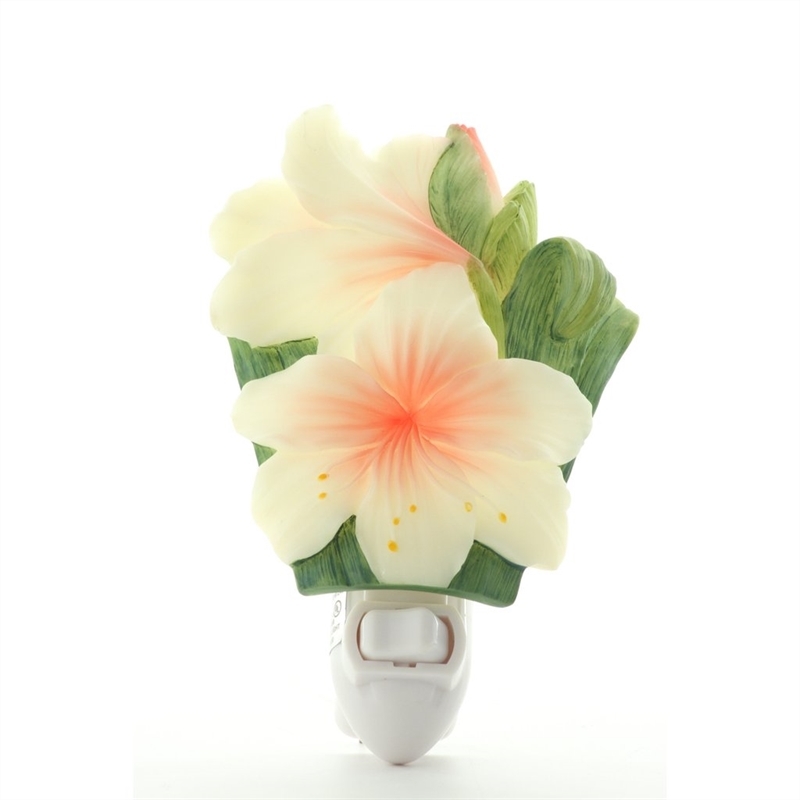 White Day Lily Nightlight, beautifully crafted by Ibis & Orchid, Inc. This White Day Lily Nightlight, beautifully crafted by Ibis & Orchid, Inc., is cast in quality bonded marble and then expertly hand painted. From a coral center the petals open up into a white bell, proudly displaying the delicate golden tips of stamens.